RAREST OF ALL OPPORTUNITIES! THE EXQUISITE BEAUTY OF THIS PROPERTY WILL TAKE YOUR BREATH AWAY! THE . . . 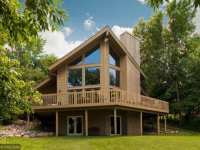 VERY UNIQUE PROPERTY, THIS IS A RARE FIND ON BEAUTIFUL CEDAR LAKE. 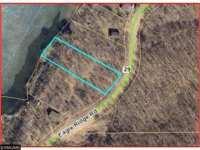 46 ACRES WITH APPROXIMATELY 1600 FEET OF LAKESHORE. 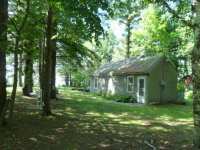 PROPERTY IS PARTIALLY OPEN AND PARTIALLY WOODED. . . .
RARE OFFERING! FABULOUSLY UNIQUE POINT LOT PARCEL! SUNRISES-SUNSETS-ALL DAY SUN/LEVEL ELEV./750+ FEET MEANDERING ROCK-WRAPPED SHORELINE/GREAT SAND LAKE BOTTOM/BEAUTIFUL . . .
AMAZING QUALITY CUSTOM BUILD! SANDY SHORE ON FABULOUS CEDAR LAKE-1800 AC &AMP; 105 FT DEPTH LAKE . . . SPECTACULAR LAKE SETTING WITH SUNSETS AND OVER 700 FEET OF MEANDERING SHORELINE! 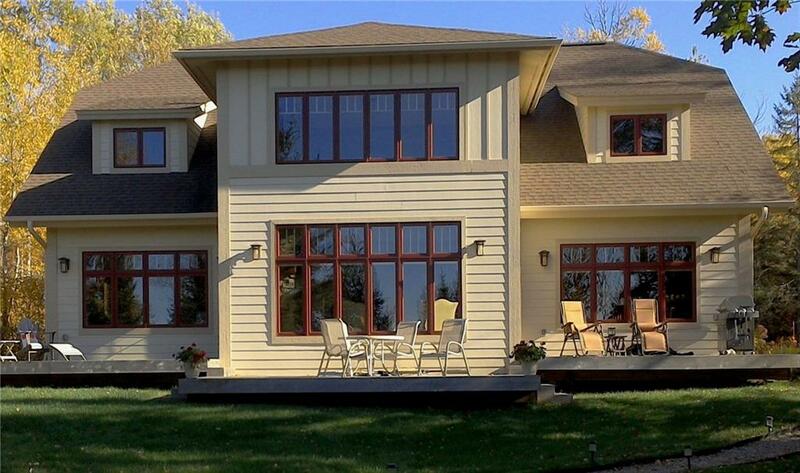 ENJOY GREAT PRIVACY ON 4+ ACRES AT THIS DISTINCTIVE QUALITY BUILT 3BR-3BA LAKE HOME . . . 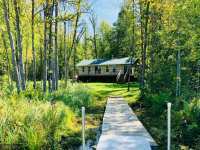 YES--DOUBLE TAKE REQUIRED--THIS PROPERTY OFFERS JUST ABOUT EVERYTHING YOU COULD POSSIBLY DESIRE FOR YOUR UP NORTH LAKE PROPERTY/GETAWAY RETREAT! NESTLED IN AT END OF . 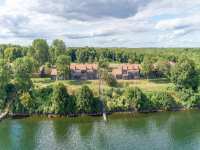 . .
AN IMPRESSIVE, STATELY HOME MADE ENTIRELY OF BRICK, IDEALLY LOCATED ON 43 ACRES OF ENDLESS PRIVACY AND OUTLINED WITH BREATHTAKING, PANORAMIC VIEWS OF DAM LAKE. THIS 3244 . . .
IMPECCABLY KEPT!! 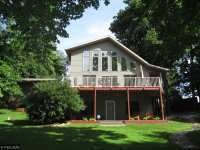 ENJOY 150' OF FRONTAGE ON PICTURESQUE ELM ISLAND LAKE! ELM ISLAND LAKE IS A 520 . . . YOUR NEW HOME AWAITS WITH OVER 16 ACRES ON CEDAR LAKE AND 1284' OF FRONTAGE! ATTENTION TO DETAIL IN THIS CHARMING 5 BR/2 BATH HOME! IMAGINE SPENDING YOUR FAMILY LAKE . . . THIS HOME HAS IT ALL! 6 BEDROOMS 5 BATHROOMS WITH 2 MASTER QUARTERS! EXCELLENT FOR NANNY OR MOTHER . . .
CEDAR LAKE! 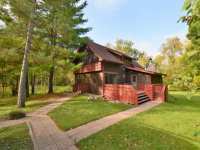 THIS 4-BEDROOM HOME IS LOCATED ONLY MINUTES FROM AITKIN &AMP; SITUATED ON A 5-ACRE LOT WITH APPROX 400 FEET OF SHORELINE WHICH PROVIDES PRIVACY &AMP; . 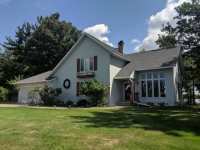 . .
IMMACULATELY CARED FOR CEDAR LAKE HOME ON 2.5 ACRES WITH 275 FEET OF FRONTAGE. SPECTACULAR VIEWS . . .
BEAUTIFUL 3-BEDROOM 2 BATH HOME SITUATED ON GORGEOUS SOUGHT-AFTER CEDAR LAKE. OFFERING 150 FT OF . . .
FARM ISLAND LAKE! THIS IS ONE OF THE AREAS MOST PREMIER LAKES, WELL KNOWN FOR CLEAR WATER, GREAT FISHING, BOATING AND ALL AROUND RECREATIONAL FUN. YOU WILL LOVE THE . . .
SERENITY ABOUNDS WITH THIS 57 ACRES WITH 1200+ LAKE FRONTAGE ON LINGROTH LAKE. MAIN LEVEL HOME WITH ROOM TO EXPAND WITH A FULL UNFINISHED BASEMENT. FEATURES VAULTED . 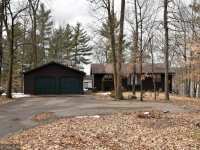 . .
RABBIT LAKES EAST BOWL 4+ BEDROOM 2 BATH WALKOUT HOME ON 1.17 ACRE WOODED LOT, 130 FEET FRONTAGE, GRADUAL ELEVATION TO THE LAKE, WEST FACING, FABULOUS SUNSETS. HOME . 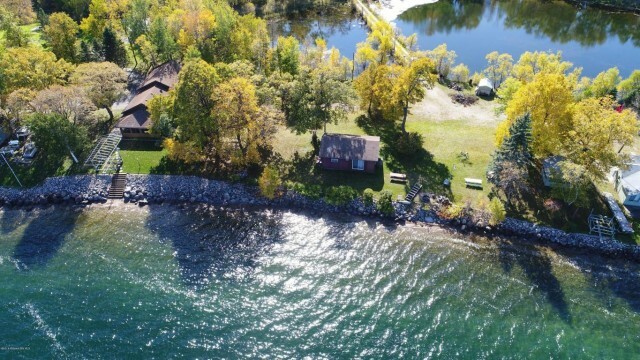 . .
PLOP YOUR BEACH CHAIR DOWN IN THE SAND AT WATER'S EDGE, BRING YOUR FAVORITE BEVERAGE, BOOK AND SUNGLASSES, AND CURL YOUR TOES INTO THIS SUGAR SAND BEACH ON MILLELACS N. . . .
MAKE THIS RECENTLY SPLIT CEDAR FARM COMPOUND YOUR RETREAT FROM THE MODERN WORLD. WELL CARED FOR 3 BEDROOM 1 BATH HOME IS SITUATED ON 295 FT OF SANDY FRONTAGE ON CEDAR . . .
SPOTLESS AND IMPECCABLY MAINTAINED, THIS CUSTOM HOME WILL RATE HIGH ON YOUR LIST OF INCREDIBLE PROPERTIES! CLASSY &AMP; DESIGNED FOR EASY ENTERTAINING, THE MAIN FLOOR . . .
FAMILY MEMORIES ARE MADE WITH THIS BEAUTIFUL 3 BEDROOM, 3 BATH HOME, TONGUE AND GROOVY KNOTTY PINE THROUGHOUT. 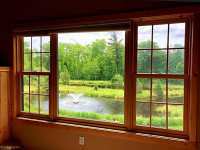 MAIN LEVEL MASTER BEDROOM AND BATH WITH A PRIVATE PORCH. . . .
MAKE FARM ISLAND LAKE YOUR NEW PLACE TO SPEND WITH THE BEAUTIFUL FOUR SEASONS IN NORTHERN MINNESOTA . . . 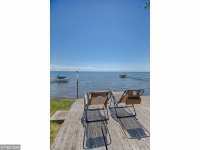 THIS BEAUTIFUL 3 BED 2 BATH HOME SITS ON THE WATER'S EDGE OF MILLE LACS LAKE OFFERING BREATHE TAKING VIEWS, SOUTHERN EXPOSURE, EXCELLENT SAND BEACH W/ GRADUAL WATERS, . 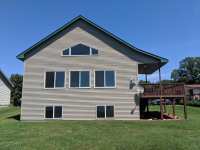 . .
CEDAR LAKE YR HOME W/100FT OF FRONTAGE. 3 BR/2 BATH SPLIT LEVEL. GREAT FISHING RIGHT OFF OF THE INCLUDED DOCK AND POWER LIFT NEW COVER AND REMOTE FOR LIFT - GREAT VALUE! . 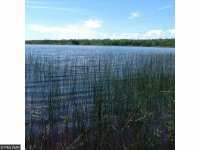 . .
200 FT OF LAKE SHORE ON ROUND LAKE, POPULAR FOR ITS CLEAR WATER AND RECREATION. FULLY FURNISHED INCLUDING DOCK AND PONTOON. AVAILABLE TO CLOSE JUNE 1ST. 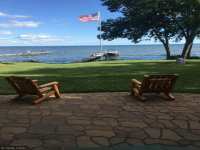 BEAUTIFUL HOME ON THE NORTH END OF MILLE LACS LAKE WITH 100' OF LAKE SHORE! 30X40 POLE BUILDING FOR ALL YOUR TOYS! 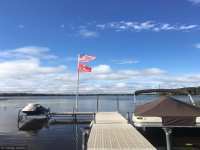 FISH FROM THE END OF THE DOCK WITH A DEPTH OF 5'. . . .
NEW STEEL ROOF, FRESHLY PAINTED EXTERIOR, 75 FEET OF SANDY LAKE SHORE, GORGEOUS SUNSETS OF MILLE LACS LAKE AND YEAR ROUND ADVENTURES! THIS PROPERTY HAS OVERSIZED . . . ENJOY THIS BEAUTIFUL LAKESIDE HOME FEATURING SUGAR SAND BEACH, MASTER BR W/PATIO DOORS TO LAKE-SIDE DECK! BEAUTIFUL T&AMP;G FINISH, OPEN KITCHEN/LIVING ROOM AREA WITH . 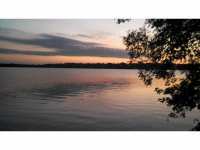 . .
BEAUTIFUL PANORAMIC SUNSET VIEWS ON TOP 5 LAKE IN MINNESOTA. 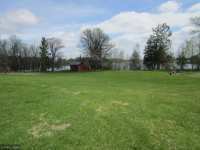 RARE LARGE 2.47 ACRE FLAT HIGHLAND LOT, NOT BUILT UP ON FARM ISLAND LAKE. LOTS OF ROOM AND SETBACKS TO BUILD . 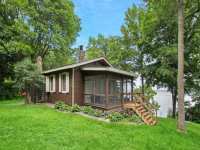 . .
TASTEFULLY RENOVATED NOSTALGIC 1920'S CABIN ON AN OVER SIZED LOT WITH 140 FT OF FRONTAGE . . . 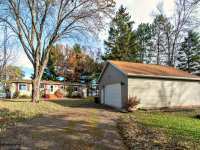 OUTSTANDING MILLE LACS LAKE PROPERTY. SAND BEACH, JUST ROLL IN THE DOCK AND GREAT SWIMMING OPPORTUNITY. PROPERTY INCLUDES AN OLDER TRAILER HOME WITH 2 BEDROOMS AND A . . . 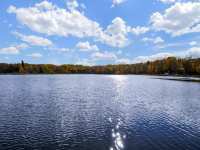 BUILD YOUR DREAM LAKE HOME ON THIS PRIVATE 2.54 ACRE LOT SITUATED ON 300 FEET OF FRONTAGE ON ROGERS LAKE. 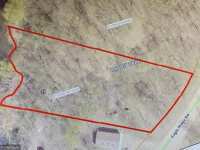 BEAUTIFULLY WOODED LOT BOASTS A SOUTHERN EXPOSURE, SAND . . .
LOTS SELDOM BECOME AVAILABLE ON THIS LAKE! 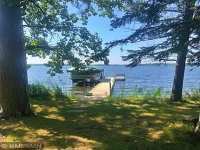 THIS READY TO BUILD PRIME LOT ON MILLE LACS LAKE HAS MANY MATURE TREES, HAS BEEN FILLED, LEVELED AND LANDSCAPED FOR EXCELLENT . . .
DEAD END ROAD PRIVACY ON MILLE LACS SANDY NORTH END. CLEARED LOT READY FOR YOU TO MAKE YOUR DREAMS COME TRUE! 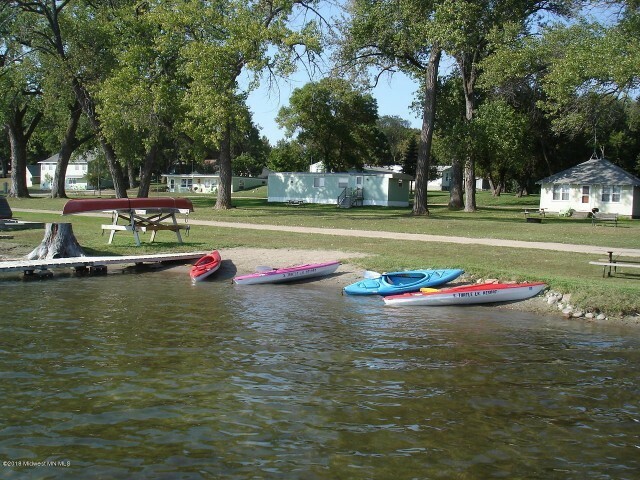 BE READY FOR ALL THAT THIS RECREATIONAL AREA HAS TO OFFER! . . .
MILLE LACS LAKE'S NORTH END...SANDY SHORELINE THAT YOU CAN'T BEAT. FAMILY OWNED SEASONAL HOME - BEAUTIFUL WOOD WORK! COZY KITCHEN AND STUNNING VIEWS! GREAT LITTLE BUNK . 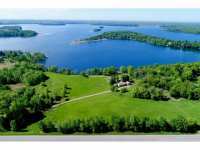 . .
RARE OPPORTUNITY TO BE PART OF HISTORIC SHINGWAUK VILLAGE ON LITTLE PINE LAKE IN AITKIN WITH EASY BOAT ACCESS TO FARM ISLAND LAKE. 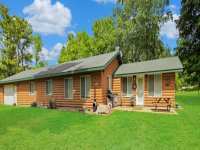 2 BEDROOM, 2 BATH, YEAR ROUND CABIN . 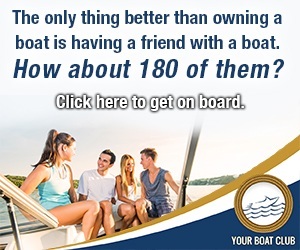 . .
START MAKING YOUR LAKE HOME DREAMS COME TRUE. THIS IS A GREAT OPPORTUNITY TO PLAN YOUR FUTURE. 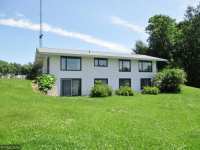 PERFECT LEVEL ELEVATION LEADING TO 170 FEET OF SANDY SHORELINE AND 2 ACRES . 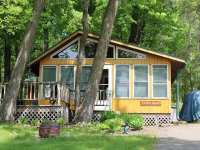 . .
NOW IS THE TIME TO BEGIN CREATING A LIFETIME OF MEMORIES WITH THIS WONDERFUL SEASONAL PAIR OF CABINS RIGHT ON THE WATERS EDGE ! CABIN #I HAS A BEAUTIFUL KITCHEN WITH . 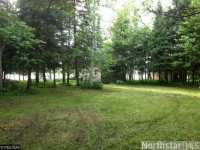 . .
6.08 HEAVILY WOODED ACRES NEAR AITKIN ON SULLIVAN LAKE IN THE HEART OF FISHING COUNTRY. 1200 FEET OF LAKE SHORE !! LOTS OF PUBLIC LAND IN THE AREA FOR HUNTING. THE OWNER . . . 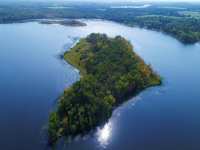 ADVENTURE AWAITS ON THIS PRIVATE 20.20 ACRE ISLAND ON ELM ISLAND LAKE! AN UP NORTH GET AWAY WITH SO MUCH POTENTIAL. CAMP OR MAYBE EVEN BUILD A TRUE RETREAT. RELAX, ENJOY . 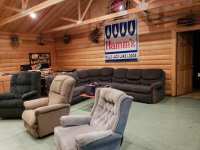 . .
AN OUTDOORSMEN/CAMPER'S PARADISE! OVER 1.5 ACRES OF LAND AND 260FT OF LAKE FRONT ON TWIN LAKE - A QUIET, REMOTE, DEEP LAKE WITH GREAT FISHING. IT WILL NEED A FEW . . .
ARE YOU 55 OR OVER? YOU COULD BE THE PROUD NEW OWNER OF THIS BEAUTIFULLY UPGRADED TOWNHOME. BRIGHT . 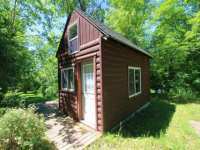 . .
QUIET SECLUDED CABIN WITH PARK LIKE SETTING SITUATED WITHIN MINUTES FROM TOWN AND EXCELLENT FISHING AND RECREATIONAL HANSON LAKE. MODERN CABIN FOR YOUR UP NORTH RETREAT. 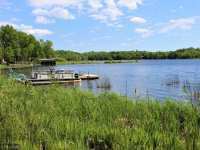 BEAUTIFUL LAKE LOT ON WEST SIDE OF CEDAR LAKE IN AITKIN. THIS IS AN AWESOME SPOT TO BUILD YOUR DREAM HOME OR CABIN IN THIS PRIVATE PENINSULA NEIGHBORHOOD. CEDAR LAKE IS . . . 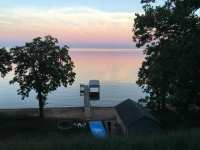 YOUR OWN PIECE OF PARADISE ON MILLE LACS LAKE WITH THE OPTION TO PURCHASE ADJOINING LAKE HOME (SEE MLS 4987849) GATED ENTRANCE ENSURES YOUR PRIVACY. THIS LOT IS 0.92 . . .
MAKE THIS RECENTLY SPLIT CEDAR FARM COMPOUND YOUR RETREAT FROM THE MODERN WORLD. 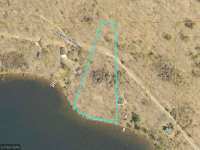 BUILD YOUR DREAM LAKE HOME ON THIS 2.79 ACRES LOT SITUATED ON 268 FT OF SAND FRONTAGE ON . 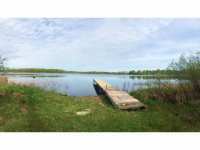 . .
PICKEREL LAKE OFFERING 350 FEET OF SHORELINE ON THIS 7.9 ACRE LOT, NICELY WOODED WITH A LARGE YARD AREA. 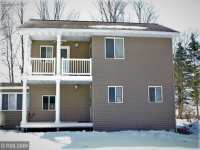 THIS LOT IS LOCATED 2 MILES WEST OF AITKIN AND OFFERS GREAT . . . 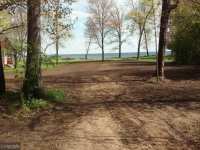 INCREDIBLE OPPORTUNITY TO OWN 20 ACRES OF PRIVATE WATERFRONT WITH OVER 1,200 FEET OF LAKESHORE ON . 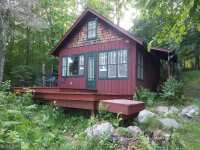 . .
CHARMING COTTAGE ON PORTAGE LAKE WITH ABUNDANT WILDLIFE AND ALMOST 2 ACRES FOR PRIVACY. 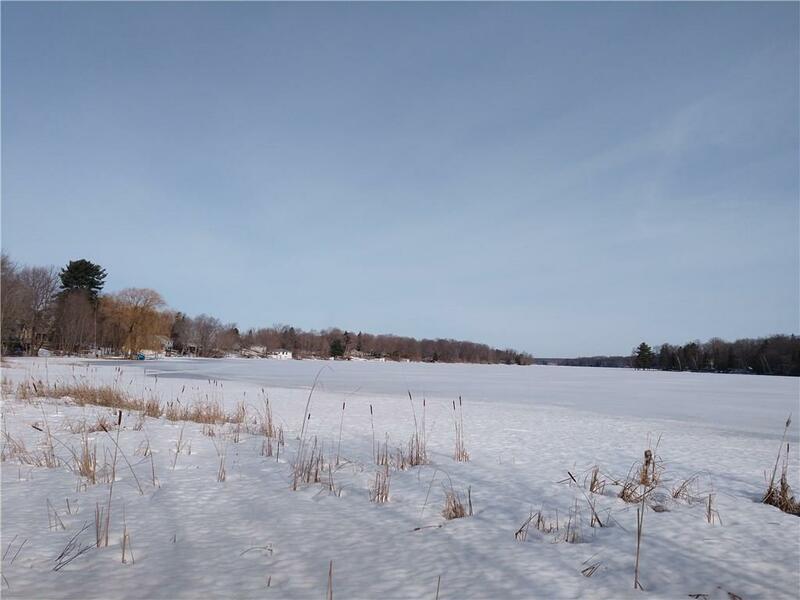 GET OUT OF THE CITY AND EXPERIENCE TRANQUILITY AND PEACEFULNESS AT ITS FINEST. . . .
PICKEREL LAKE OFFERING A NICELY WOODED 7 ACRE PARCEL WITH A LARGE OPEN YARD AREA, 335 FEET OF SHORELINE AND SEVERAL OLDER OUTBUILDINGS. THIS PARCEL IS LOCATED 2 MILES . 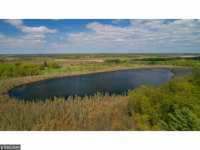 . .
16 ACRES WITH OVER 500' OF LAKE FRONT ON PETERSON ENVIRONMENTAL LAKE. HEAVILY WOODED WITH SPECTACULAR DEER, GROUSE, HUNTING, ETC. 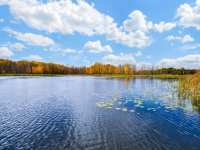 FISH, FOUR WHEEL, HUNT, HIKE, ENJOY. . . .
3.43 ACRES WITH 170 FEET OF LAKE SHORE ON A QUIET, PEACEFUL LAKE PROPERTY. 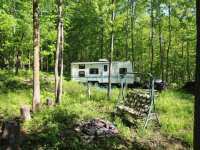 A MIX OF FIELDS AND WOODS, MAKES THIS THE PERFECT PLACE TO BUILD YOUR DREAM CABIN OR PARK YOUR . 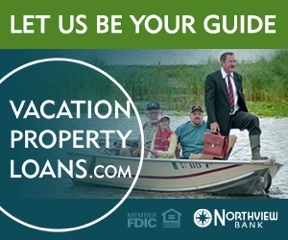 . .
ARE YOU READY TO BUILD YOUR FAMILY CABIN AND START MAKING MEMORIES ON LONG LAKE? NOW YOU CAN! . . . 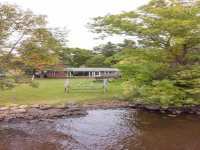 VERY PRIVATE LAKE SHORE PROPERTY WITH 810 FEET OF UNDEVELOPED SHORELINE ON 5 ACRES. RUSTIC CABIN AND STORAGE BUILDING. HEAVILY WOODED WITH CEDAR, BLACK ASH, FIR AND . . . WOODED LAKE LOT WITH PREPARED BUILDING SITE. GRADUAL PATH TO WATER'S EDGE. SWIMMABLE LAKE BOTTOM. GREAT FISHING LAKE. PERFECT FOR YOUR NEW WALKOUT HOME. POTLATCHDELTIC LAND ON MUD BROOK SOUTHEAST OF EMILY. 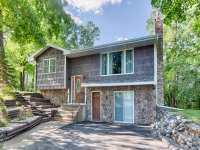 GENTLY-ROLLING UPLAND WOODED WITH ASPEN AND SWAMP HARDWOOD SLOPES TOWARD APPROX 2,609 FT OF CREEK/WETLAND FRONTAGE. . . . 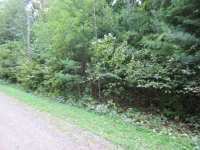 HEAVILY WOODED 3.36 ACRE LOT ON ROSS LAKE JUST NORTH OF AITKIN, MN. 214 FEET OF LAKE SHORE. GOOD FISHING LAKE THAT IS 30' DEEP. GREAT PRIVATE BUILDING SITE TUCKED INTO . . . 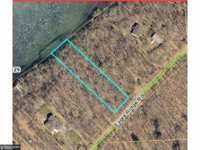 HEAVILY WOODED LOT LOCATED ON ELM ISLAND LAKE. 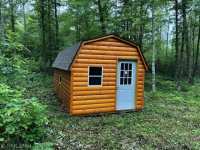 BUILD A CABIN OR YOUR DREAM HOME. 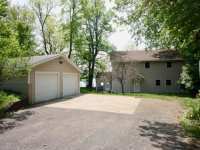 THE LOT IS LOCATED ON THE NORTH SIDE OF THE LAKE WITH ABUNDANCE OF PRIVACY. IT IS A . . .
MILLE LACS LAKESHORE UNIQUE 1 OF A KIND DOUBLE UNIT, 245 &AMP; 246. MOST EVERYTHING IS NEW. UNIQUE REMODEL WITH LAUNDRY, OPEN MASTER SUITE WHICH INCLUDES MASTER BATH, . . . WOODED LAKE LOT OFFERING SUNSET VIEWS OF EAST RABBIT. GREAT FISHING. CLOSE TO HOSPITAL AND AMENITIES IN CROSBY. ADJACENT LOT ALSO AVAILABLE FOR EXTRA PRIVACY. DREAMING ABOUT THE PERFECT LAKE HOME? HAVE THE PLANS BUT NOT THE PLACE? THIS IS THE PLACE!! 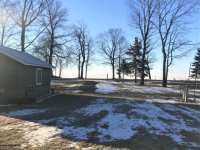 BEAUTIFUL BUILDABLE LOT WITH 1.63 ACRES OF HARD TO FIND LAND WITH 150FT OF . . . 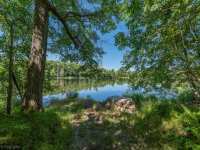 THIS GORGEOUS 24.8 ACRE LOT OFFERS 587 FEET OF LAKE SHORE ON BEAUTIFUL HICKORY LAKE. ENJOY . . . WOODED LAKE LOT OFFERING SUNSET VIEWS OF EAST RABBIT. GREAT FISHING. CLOSE TO HOSPITAL AND AMENITIES IN CROSBY. FAMILIES OR ANYONE LOOKING FOR THE UP NORTH GET AWAY TO BE ON THE WATER, HIKE, FOUR WHEEL, . . . 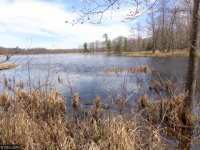 YOUR CHANCE TO OWN 6 ACRES ON RABBIT LAKE CHAIN'S EAST BOWL. 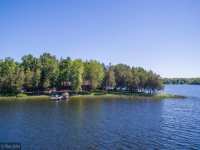 ENJOY THE PRIVACY YOU'LL FIND IN THE MIDDLE OF THIS LAKE PARCEL WITH APPROXIMATELY 700 FEET OF SHORELINE. . . . 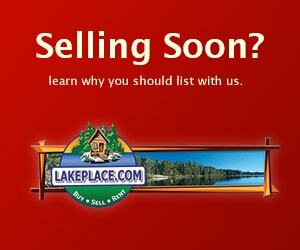 EXCELLENT OPPORTUNITY TO BE ON CEDAR LAKE. 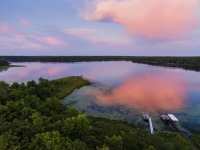 THIS 1,745 ACRE LAKE HAS A MAXIMUM DEPTH OF 105 FEET AND IS CONSIDERED ONE OF THE PREMIER LAKES IN THE AREA! THIS PARCEL HAS . . . 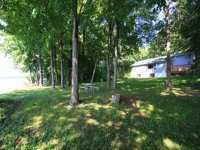 PRIVATE WOODED LOT ON TAYLOR LAKE. 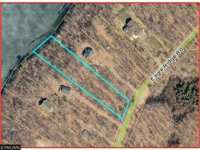 SHARED DRIVEWAY COMING IN WITH ELECTRICITY ALREADY ON SITE PLAN. . . .
GREAT OPPORTUNITY ON ELM ISLAND LAKE - POTENTIAL TO BUILD YOUR UP NORTH GETAWAY OR DREAM HOME! 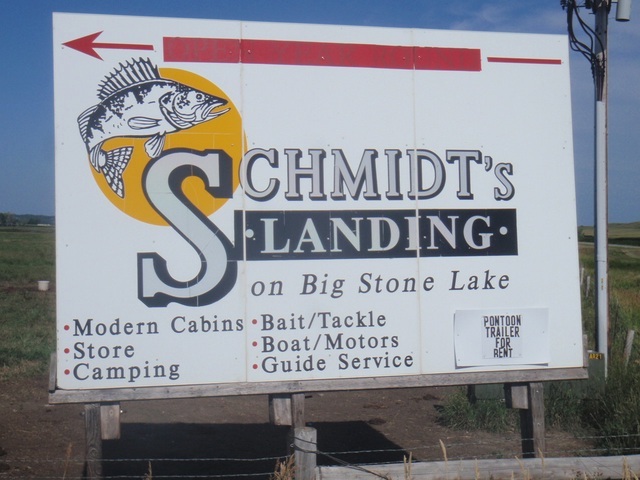 ENJOY ALL THE AREA HAS TO OFFER: FISH, HUNT, ATV, SNOWMOBILE, HIKE, BIKE, . . . IN THE HEART OF THE LAKE COUNTRY. RARE OPPORTUNITY TO BUILD THE CABIN OF YOUR DREAMS. 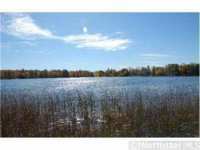 GORGEOUS LEVEL LOT ON PICTURESQUE AND SERENE TAME FISH LAKE. THIS LAKE BOASTS HARD . . . 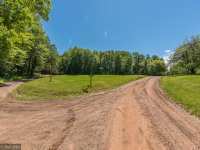 REMARKABLE OPPORTUNITY TO OWN OVER 1500 FEET OF LAKESHORE ( DIMENSIONS ESTIMATED FROM COUNTY MEASURING TOOL ) GREAT END OF THE ROAD PRIVACY, WILDLIFE GALORE, AND GREAT . . . 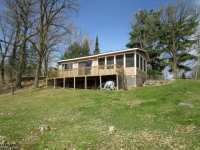 THIS 5.4 ACRE PROPERTY HAS WIDE OPEN SPACE AND NICELY SHADED WOODS, ALL FACING SOUTH. THERE IS A BEAUTIFUL BUILD SITE IN THE TREES WITH PANORAMIC VIEWS OF THE RIVER . . . 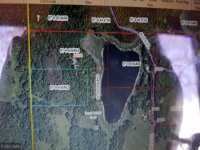 BUILD YOUR DREAM LAKE HOME ON THIS 3.10 ACRE LOT WHICH HAS 280 FT OF FRONTAGE ON CHRISTMAS LAKE. 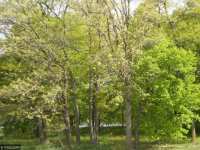 BEAUTIFUL LOT OFFERS A PRIVATE SETTING AND IS STUDDED WITH MATURE TREES. . . . 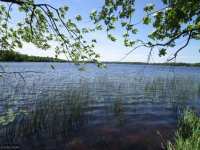 PEACEFUL 1.25 AC WOODED LAKE LOT ON THE DESIRABLE ROSS LAKE - JUST NORTH OF THE CITY OF AITKIN. THERE ARE SEVERAL EXCELLENT BUILDING SITES THAT WOULD PROVIDE A SOUTHERN . . .
GORGEOUS AND VERY PRIVATE MISSISSIPPI GETAWAY. 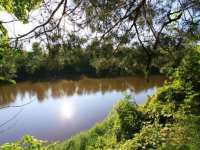 STUNNING LOT AND RIVER VIEWS ARE ABUNDANT ALONG WITH GREAT FISHING AND RECREATIONAL OPPORTUNITIES. THIS FAMILY GETAWAY HAS . 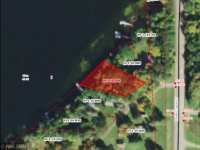 . .
LOVELY BUILDABLE 2.44 ACRE LAKE LOT ON FOUR LAKE IN FARM ISLAND TOWNSHIP. WONDERFUL COUNTRY FEEL. MANY MATURE TREES. CLOSE TO THE TOWN OF AITKIN. NATURAL ENVIRONMENTAL . 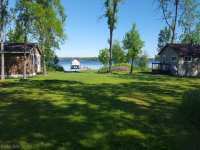 . .
A NICE LEVEL LOT WITH GRADUAL ELEVATION TO THE LAKE ON A QUIET LAKE WITH EXCELLENT FISHING AND RECREATION. TRAILER CAN BE PURCHASED SEPARATELY AND IS NOT INCLUDED IN THE . 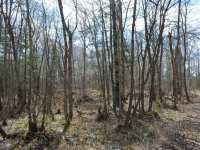 . .
THREE HEAVILY WOODED LOTS ARE BEING SOLD. 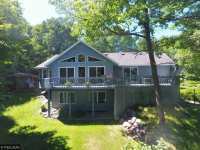 EACH WITH DEEDED ACCESS TO 629 ACRE RIPPLE LAKE. 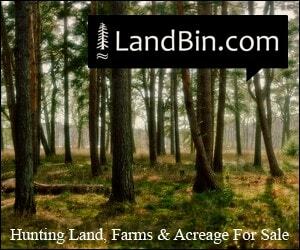 PLENTY OF BEAUTIFUL MAPLE, BIRCH, PINE, AND BASSWOOD TREES COVER THESE LOTS. . . .
BEAUTIFUL SCENIC SETTING! 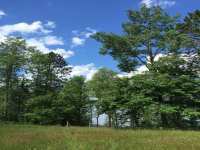 THIS GREAT LOT IS 32 ACRES WITH HEAVY TREES AND PRIVATE SMALL LAKE - JOHNSON LAKE (GLEN). PERFECT SPOT FOR HIGH END ESTATE WITH PRIVACY AND . . . AFFORDABLE SLICE OF PARADISE. 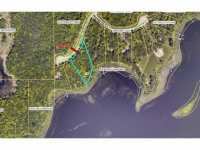 HEAVILY WOODED ROSS LAKE LOT WITH 198 FEET OF SHORE AND 1.49 ACRES. 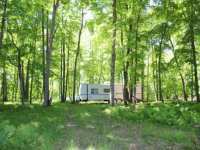 BUILD A POSSIBLE WALKOUT HOME OR JUST CAMP/RV ON THIS VERY BEAUTIFUL . 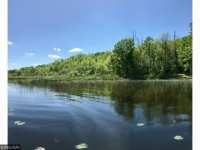 . .
COME AND CHECK OUT THIS BEAUTIFUL LAKESHORE LOT ON SPECTACLE LAKE, JUST SOUTH OF AITKIN, WITHIN 10 . . .
BEAUTIFUL 4.05 ACRE PARCEL WITH APPROXIMATELY 267 FEET OF LAKESHORE ON BEAUTIFUL TAYLOR LAKE WITH . . . LOCATION, LOCATION, LOCATION! THIS LOT IS PRICED TO SELL!! 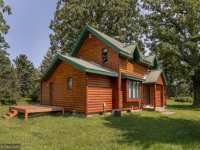 CLOSE TO THOUSANDS OF ACRES OF STATE LAND, ENJOY FISHING, HUNTING, FOUR WHEELING, SNOWMOBILING, AREA WILDLIFE . . .